Looking for a great place to practice yoga in Canggu, Bali? You’re in luck! As Canggu’s popularity grows, so do the opportunities to practice yoga. Read on for your guide to our favourite Canggu yoga studios and retreats. The great thing about Canggu is that is also has great surfing beaches, delicious food, and you can watch the sunset while lounging on the beach. As Canggu’s popularity grows, so do the number of places to practice yoga. The once-sleepy fishing village is now buzzing with surfers and yogis alike. Welcome to “the new Ubud”. You don’t get this in Ubud! Canggu has beaches, yoga, and great vegan food. So if you’re headed to Canggu and want to spend some time on your travel yoga mat, our guide to the best yoga in Canggu is here to help! Don’t leave this post before you sign up to get your free printable map and guide to Canggu yoga! What’s in our guide to Canggu yoga studios? 5. How Much Does a Yoga Class in Canggu Cost? Desa Seni is our favourite Canggu yoga studio. It is set in an spectacular tropical paradise that feels completely removed from the buzz of the streets of popular surf spot Canggu. I practiced with Bernd Windhofer on our recent visit and his class was fantastic. You can see me in the green shirt in the Instagram above! Bernd is an attentive teacher who makes each student feel confident, cared for, and courageous. He has spent years studying yoga philosophy and meditation as well as yoga asana, and his passion for the practice shines through. We first met while teaching together in a studio in Shanghai back in 2013 and have been friends ever since. He’s been teaching at Desa Senai since 2014. If you get a chance to practice with him at Desa Seni, I highly recommend it! Desa Senai has a small staff of carefully selected, dedicated and passionate yoga teachers who lead daily classes, workshops, and teacher training programs. They offer vinyasa, Hatha, restorative, Yin, and meditation classes. Not exclusively a yoga studio, Desa Seni is also a boutique resort dotted with original antique wooden homes, imported from the many islands of Indonesia. The property is scattered with gardens growing almost 80% of the produce used in their organic restaurant and they also work with local businesses to focus on bringing great meals direct from farm to table. Of course, they also have a luxurious spa for the ultimate in relaxation. If you’re looking for a secluded and luxe place to stay in Canggu, with yoga right on your doorstep, make sure to check out Desa Seni. The studio at The Practice is a fantastic place for yoga. Opened in 2016 by Octavio Salvado, The Practice Bali is an absolutely incredible space to unroll your mat. This Canggu yoga studio, right in the centre, just off Canggu’s busy Jalan Pantai Batu Mejan, is a work of art. The upstairs yoga shala is inspired by traditional Balinese architecture and built from local materials. I took an Advanced Sun Hatha class with Pelin Tugut when I visited The Practice. As promised the class included pranayama, meditation, and a Hatha practice. If you’re new to yoga or don’t have a regular practice I would recommend one of their beginners or all-levels classes, since there wasn’t much in the way of alignment instruction or modifications offered in this class. At The Practice Bali they also offer life coaching led by Carl Massy, host movie nights, lead teacher trainings, and bring in international guest teachers for workshops. 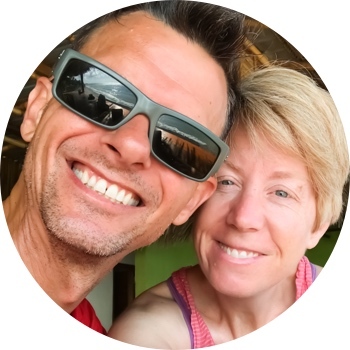 Their aim is to build a conscious community practicing the art, science, and philosophy of yoga following a Tantric Hatha yoga tradition – the same tradition that I practice. They offer classes in Hatha, Yin, and Meditation, as well as having weekly kirtan events. Don’t forget to sign up to get your free printable map and guide to Canggu yoga! Just a one kilometre walk along the beach from Old Man’s (a popular spot to sit and have a drink as you watch the sunset in Canggu), past Echo Beach, you get to Pererenan Beach. Here you’ll find an amazing, semi-secret spot to practice yoga. Where Jalan Pantal Pererenan meets the sea there is huge statue of Gajah Mina, an elephant-headed fish that is part of the local Hindu mythology. Look for the elephant-headed fish statue for the perfect place for sunrise yoga in Canggu. It was erected in early 2017 to help draw tourists to Pererenan Beach, but so far it mostly seems to draw early-morning yogis. Around the base of the statue they have built a few areas of flat lava stone where you can unroll your mat and practice yoga with the waves crashing around you. If you want to practice at sunrise, I hear you need to get down early to grab a spot. But, since I’m not much of a sunrise person, I came down during the day and was the only person practicing here. It’s the perfect spot if you want to do your own practice in a one-in-a-lifetime location. Aside from the studios we visited, there are lots of other places you can go to practice yoga in Canggu, Bali. If you want to practice Asthanga Yoga in Canggu, Samadi Bali is the place — they lead morning Mysore practices daily. They also offer Hatha, Yin, aerial, and restorative yoga. You can attend sessions in life coaching, chakra balancing, and craniosacral therapy, too. After yoga, make time to enjoy their property. It’s a lovely oasis and they have a cafe which serves delicious-looking vegetarian food. Watch our yoga studio tour of Samadi. In April 2018, Samadi opened a boutique hotel on their property, with 10 rooms, a great pool, and a sauna, all surrounded by lush tropical trees. For the ultimate pampering retreat, spend 4 days in Canggu combining yoga with massage at this 4-day spa and yoga retreat at Samadi. We heard great things about the teachers at Pranava, but didn’t get a chance to visit. They provide a variety of classes which are suitable for all levels of students. Their teachers, the majority of whom are Balinese, observe and adjust your postures according to your capability, helping you to gain the maximum benefit from the practice by honouring your individual yoga journey. Styles include vinyasa, Hatha, and Anti-Gravity yoga. The studio is located on the grounds of Matra Bali guesthouse, so you can stay there to create your own mini Canggu Bali yoga retreat. Serenity offers a wide variety of yoga with a full weekly schedule. They also have a hostel and guest house, offer massage, and have an alkaline raw vegan restaurant on site. Not exclusively a yoga studio, The Canggu Studio also has classes in Pilates, Barre, Muay Thai, Chi Gong, Dance (Hip Hop, Dancehall, Belly, etc), Power Lifting, as well as a handful of Yin, Power, and Hatha classes each week. How Much Does Yoga in Canggu Cost? Drop-in classes cost roughly 140K IDR (10 USD) per class at most Canggu yoga studios. If you’re in town for longer than a few days, check for multi-class package deals for 5 or 6 classes (or more) which can reduce the price per class to between 108K and 120K IDR. Most Canggu yoga studios also offer private yoga sessions, too. Rates vary depending on the studio and the teacher. Being such a hotspot for yoga, Canggu also offers a huge range of yoga retreats. Here are a few you might want to check out. This retreat combines daily surf lessons with two daily yoga classes at the gorgeously landscaped Mondo Surf & Lifestyle village. If you’re flying solo and want to deepen your practice while making new friends, check out this singles-focussed retreat. It’s also incredibly affordable! This retreat offers a boutique hotel experience combined with yoga lessons, surfing, and, most importantly, lots of time to relax. There are lots of other options if you’re looking for a yoga retreat in Canggu! Explore your options. No Bali itinerary is complete without a few yoga classes! 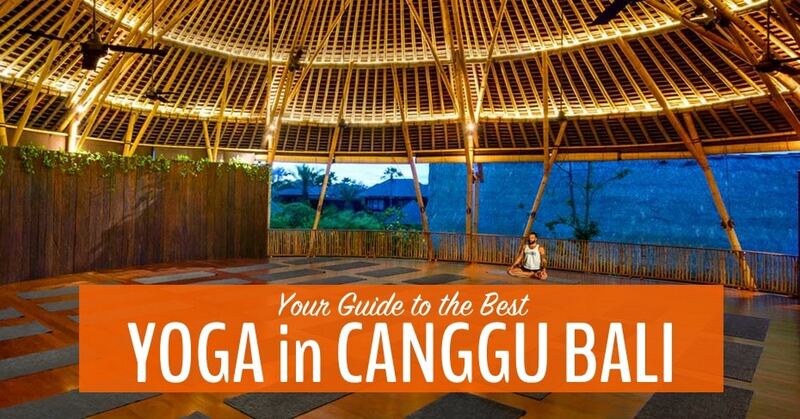 I hope this guide is useful when you’re deciding where to practice yoga in Canggu. If you have a favourite Canggu yoga spot, let us know what it is so we can share it with our readers. And ask in the comments below if you have any questions! Pin for your trip to Canggu. Tagged Bali, Indonesia, yoga travel. Pingback: We help you find the best yoga retreats in Bali. 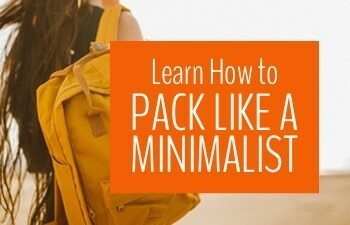 Isn't it time to treat yourself to an incredible mindful journey? | My Five Acres. Travel. Adventure. Yoga. Pingback: Here's your guide to the best restaurants in Uluwatu for vegans, vegetarians – and omnivore eaters too! | My Five Acres. Travel. Adventure. Yoga. Pingback: Your guide to finding the best yoga in Sanur Bali, by a full-time travelling yoga teacher | My Five Acres. Travel. Adventure. Yoga. Pingback: Here's your guide to the best restaurants in Sanur for vegans – and omnivore eaters too! | My Five Acres. Travel. Adventure. Yoga. Pingback: Discover the best yoga in Ubud Bali with this guide by a full-time yoga nomad | My Five Acres. Travel. Adventure. Yoga. Oh wow, this looks amazing. Definitely a bucket list item for me. I’ll keep this list handy for whenever that day comes! Cheers. Pingback: Is it Safe to Travel to Bali After the Lombok Earthquakes? | My Five Acres. Travel. Adventure. Yoga. Pingback: How to Have an Amazing Time at the Tegalalang Rice Fields | My Five Acres. Travel. Adventure. Yoga. Uluwatu Vegan – Your Guide to the Best Restaurants in Uluwatu!